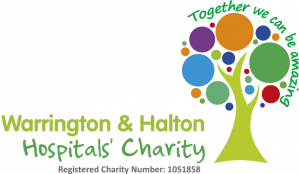 Warrington and Halton Hospitals is a friendly trust providing a wide range of specialties including accident & emergency, anaesthetics, general medicine and elderly care, pathology, radiology, general surgery, orthopaedics, ophthalmology, ENT, urology, paediatrics and obstetrics & gynaecology. With over 630 beds spread across the three sites at Warrington and Halton hospitals, we are an excellent choice for foundation trainees and a great place to develop your career in medicine. Recruitment to Foundation Doctor roles is carried out via HENW. You can access their website at https://www.nwpgmd.nhs.uk/and follow the links to recruitment. In the event that any posts become available that are outside of this general rule, they will be advertised on the NHS Jobs website. In August 2017 the trust has 36 Foundation Year 1 posts, all of which are split into three four-month triplets. All posts have triplets in medicine and surgery, with additional posts in Trauma & Orthopaedics, Paediatrics (at Alder Hey Children’s Hospital) and Psychiatry (at North West Boroughs Healthcare NHS Foundation Trust). There are four surgical subspecialties to choose from – Breast, Colorectal, UGI and Urology. We will ask you to rank your preferences and will allocate you with the aim of giving everybody their highest possible ranking. If you are allocated to a Track including Surgery in F2 as well, you will not be able to repeat the same subspecialty in F2 (and see below re Integration Placements). Information on our Tracks can be found here. On arrival in the Trust Foundation Year 1 doctors participate in a six day induction programme before they take up their posts, including two days shadowing current F1s, clinical skills and resuscitation training, a Prescribing workshop and IT. You will be paid for these six days and attendance is mandatory. Foundation doctors are also assigned a buddy who has completed similar rotations to them, to help ease the transition from student to doctor. All Foundation Doctors are automatically members of our Doctor’s Mess. Our clinical skills facility is located at Halton Hospital and an early emphasis on clinical skills in foundation teaching means that almost all the core protected teaching for F1 and F2 doctors is based at Halton for the first 2 months. After these sessions the teaching will take place in Warrington. In August 2018 the trust will have 36 F2 posts. All 36 F2 posts comprise three four-monthly triplets, with a number of the posts outside the trust in psychiatry (at North West Boroughs Healthcare NHS Foundation Trust), public health, Paediatrics (based at Alder Hey) and general practice. All F2s spend a rotation in GP and 75% of our F2s will have the opportunity to work in A&E. In line with Broadening the Foundation Programme, we have minimised the number of repeated specialty groupings across the two years of the programme, and we provide Integrated Placements in all of our repeated surgical specialties and community placements in all of our repeated medical specialties. The foundation teaching programme provides half a day’s teaching each week for F1s and F2s. Teaching is delivered by a mixture of consultants, senior and junior trainees and other members of the multidisciplinary teams. This is all supplemented by departmental teaching during each rotation. All of this teaching is protected and bleep free. Trainees are required to achieve 70% attendance at teaching. In line with all training grade doctors, foundation doctors have an Educational Supervisor who remains with them for the whole year, and a Clinical Supervisor who will change each time you rotate. You will undertake Supervised Learning Events (SLEs) via the Horus e-portfolio system. Trainees meet with their supervisor at least twice during each rotation to plan and assess their progress during the rotation. Trainees must progress satisfactorily in each post to receive their FACD (Foundation Achievement of Competency Document) in order to progress to specialist training in the specialty of their choice. In addition to the core protected teaching, you will have the opportunity to attend teaching on careers and interview skills and our proactive medical education team can provide you with many opportunities to develop your teaching skills with our 4th and 5th year medical students right from the earliest days of your F1 year.